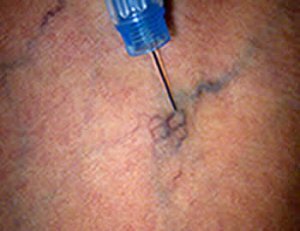 Imagine having target veins literally appear above the skin’s surface. With the revolutionary v300H and v900L, this is exactly what happens. The cross polarization technology allows direct subsurface visualization through the superficial skin layers. Visualizing veins has never been easier. The result: dramatic reduction in your procedure time so you can increase your case load. Using the v300H or v900L reduces the occurrence of telangiectatic matting. Sclerotherapy: The instrument is extremely effective with any procedure involving vascular structure. 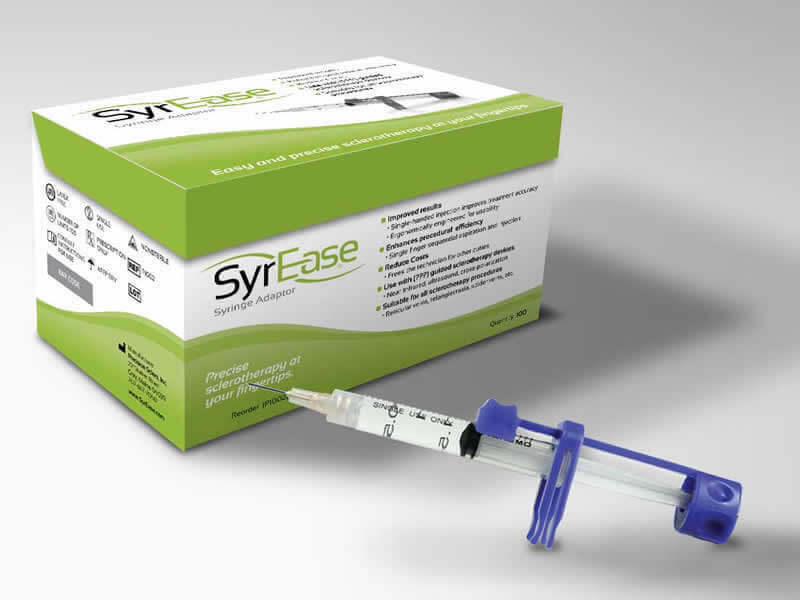 Sclerotherapy practitioners in specific enjoy extraordinary time savings while also reducing “misses” with either the laser or the saline injection needle methods. 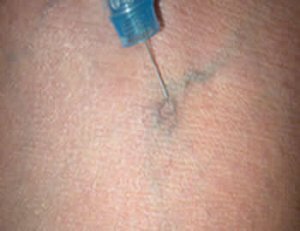 When a Sclerotherapist injects an artery with a needle, he/she must immediately inject the artery which was injected with an antidote. This takes time as well as being hard on the patient. The instrument not only allows the veins to be seen, but in cross polarized mode it makes the needle turn black, thus rendering it far more visible as well. For the Laser Sclerotherapist, the minimization of “misses” in turn minimizes the damage to surrounding tissue. Procedural times are reduced up to 50% and more with the v900L! This can translate to a return on investment taking place in as little as one day according to actual customers!